Melbourne Cup placegetter Prince Of Arran has cantered on the all weather track at Sha Tin ahead of his bid to win the Hong Kong International Vase. The Charlie Fellowes-trained gelding had three Australian starts during the spring, running third in the Herbert Power Stakes before winning the Lexus Stakes to earn a start in last month’s Melbourne Cup. His third in the Melbourne Cup behind Cross Counter and Marmelo took his earnings for his southern sojourn to more than $700,000. He will compete in Sunday’s International Vase (2400m) with Michael Walker, who rode him in his three Melbourne starts, again aboard. 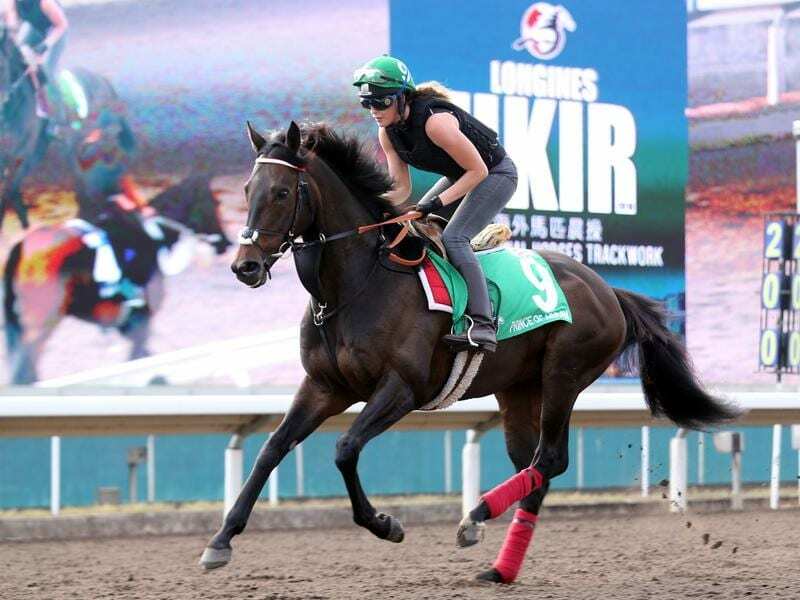 His track rider Natasha Waton said Prince Of Arran was relaxed in a regulation canter on Tuesday. “Good, very, very good. He’s fine and was nice and relaxed today,” Eaton said. Fellow English horse Red Verdon,who finished 11th in the Caulfield Cup but missed the Melbourne Cup with a hoof problem, also worked on the all-weather circuit in front of his trainer Ed Dunlop. “I saw him for the first time in Hong Kong last night and he looks great,” Dunlop said. “We don’t need to do much with him for the rest of the week and he’ll probably stick to the all-weather track. “Nothing went right for him in the Caulfield Cup and he’s 100 per cent recovered from the bruised heel he suffered subsequently. Melbourne Cup fifth, the Aidan O’Brien-trained Rostropovich, also completed a lap of the all-weather track. “He was more relaxed today, but yesterday was his first time out on the track, so that’s to be expected. He’s doing well out here,” O’Brien’s travelling foreman Pat Keating said.